DMRC Recruitment 2018 – Delhi Metro Rail Corporation Limited released DMRC Notifications 2018 on 27.01.2018. DMRC Delhi inviting online applications for 1,984 Junior Engineer, Asst Manager, Office Assistant, various vacancies. The Corporation filling 1984 DMRC Vacancy on Contract & Regular basis. So, the interested candidates can check Delhi Metro Recruitment Notification completely. Apply Online for DMRC Careers @ www.delhimetrorail.com from 27th January 2018. The deadline to fill and submit the DMRC Online Application & fee payment is 26th February (12th March 2018). 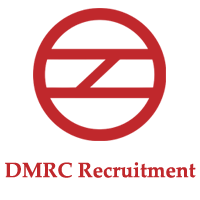 Hurry up and complete the Application process for DMRC Vacancy as early as possible. Maintainer Computer Based Test DMRC Results announced on 24/09/2018. Check List of candidates selected for the Medical Test. Delhi Metro Cut Off Marks for several posts notice officially released. Check Now! Here is a interesting news for the candidates who are looking for the Railway Jobs 2018-19. The Delhi Metro Rail Corporation Limited filling its huge number of vacant positions with the 1984 young and dynamic candidates. So, the aspirants who dream of DMRC Careers can read this complete article for the DMRC Recruitment 2018 full info. The vacancy in Delhi Metro Rail includes Junior Engineer, Assistant Manager, Office Assistant, Store Assistant, Stenographer, etc. All interested contenders can look beyond the Delhi Metro Recruitment 2018-19 details. The DMRC Notification released on 27th January 2018 and DMRC Online Application link also open from the same date. Eligible candidates can apply Online for DMRC Career @ www.delhimetrorail.com The last date to apply for the Jobs in Delhi Metro is 26th February 2018, 11:59 PM. Therefore, read further more info @ Metro Delhi DMRC Official Notification PDFs DMRC / OM / HR /I/ 2018 & DMRC / OM / HR /II/ 2018. Name of Corporation Delhi Metro Rail Corporation Limited (DMRC). Advt No DMRC / OM / HR /I/ 2018 & DMRC / OM / HR /II/ 2018. Advertisement Issued Date 27th January 2018. Name of Posts Asstt. Manager, Jr Engineer, Legal Assistant, Maintainer, etc. Download Admit Card 26.03.2018 onwards. Delhi Metro Result Date August & September 2018 (RELEASED). Jobs Category Metro Rail Jobs. Type of Jobs Both (Regular & Contract Based). Category wise Jobs in Delhi Metro Rail will be given here in detail. So, the candidates who are getting confused in DMRC Vacancy info can refer the below tables for clear idea. The information about the 1984 Delhi Metro Jobs with Post Codes & Jobs Category referred from the Official DMRC Recruitment Notification 2018. A brief info on DMRC Recruitment Eligibility criteria given below. Candidates suggested referring the corresponding Delhi Metro Notification PDF for the complete details. Check out Educational Qualification and Age Limits required to apply for the DMRC Jobs. Junior Engineer – Candidate should have 3 years of Engineering Diploma in relevant from a recognized University. Fire Inspector – B.Sc 3 years course with One Year Fire safety course from any recognized university is eligible. Assistant Manager – GATE 2017 Qualified candidates are eligible and it depends on the post you are applying. To apply for the Delhi Metro Corporation Recruitment 2018, applicants should meet the above age limits as on 01.01.2018. Age relaxation also applicable as per Government Rules. So, refer DMRC Notification for complete age details. Check the Delhi Metro Job complete details like Application fee, Selection process and Salary details here. DMRC Recruitment Notifications PDF are enclosed below. 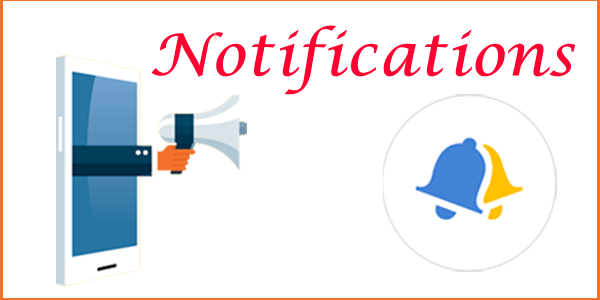 Refer Delhi Metro Notification PDF for each post salary details. UR & OBC – Rs. 500/-. SC/ ST/ PWD & Women – Rs. 250/-. Applicants should pay the Non-Refundable DMRC Application Fee depending on the applicant’s category. Application fee mentioned above is exclusive of Bank Charges. In case the candidate wants to apply for more than one DMRC Job, then he/ she should pay the separate fee for each. Computer Based Test (CBT – Paper I & II). The selection process of DMRC Vacancy may vary based on the posts you are applying. So, carefully check the Post wise DMRC Recruitment Selection process either here or in the Delhi Metro Notification. Delhi Metro Rail inviting applications to fill approximately 1000+ DMRC Maintainer Vacancy through this Latest Employment Notification. So, candidates who are having more doubts about Delhi Metro Maintainer can find individual links below. 645 Vacancies announced in DMRC 2018 Recruitment for Junior Engineer positions. So, eligible graduates can find the details such as Contract, Department, etc., For more info, check below table. How to apply Online for DMRC Jobs @ DMRC Official Website? Click on the “DMRC Career” link. There, select the post to which you want to apply with the respective Post Code. Complete the DMRC Registration process with the help of the Active Email ID and Phone Number. Upon successful completion of Delhi Metro Online Registration, you will get a Unique Application Sequence Number and Password. By logging in to your profile, fill the application form. Upload the required set of scanned documents in prescribed formats and sizes. Attach the DMRC Application fee receipt. Submit the DMRC Online Application form after crosschecking details. Finally, take a printout of the submitted Delhi Metro Job Application form for the reference in future. For more information on Latest Jobs in Indian Railways, applicants should refer DMRC Notification 2018. Download DMRC / OM / HR /I/ 2018 & DMRC / OM / HR /II/ 2018 PDFs DMRC Recruitment for detailed information of Delhi Metro Vacancy. Get the Delhi Metro Rail Recruitment 2018 details and DMRC News here on RRB Recruitment page. Sir me JATAN SHAKYA ,MECHANICAL AUTO.Diploma aur Bsc ki h .Me roken operator me job karana chahata hu. Sir i am Manisha dahiya . Iam completed graduate. Sir, I am B.tech graduate. I want to work as a Junior Engineer (JE) and also have an interest to work as a Maintainer for DMRC . Sir, plz update me all the notifications regarding my area of interest. Sir maneter results kab aayga. …..bro. aap be batha dena..
sir i’m graduate in delhi university and sanitary inspector diploma in malaria sanitation dept. can i apply the job in delhi metro. Sir I am Sunny sharma I am 12th passed with science sir I have a knowledge of basics computer can I apply dmrc job roman counter please sir me delhi metro me job karna cahata hu. I am Balgovind and I have completed 12th with Art’s. I want to apply to DMRC job, I have knowledge of M.S. Office. How shall I apply for token operator? Please lead to me to this..